If you are a business owner that makes your money providing good or services to other business, you’ll most likely want to reward your good customers and make order-placing easier on them by extending credit. Let’s face it; businesses tend to spend more when they have a line of credit open to them. So it only makes sense that you can expand your business and increase your sales by providing a credit plan to your customers. This will allow them to purchase products or services today, and pay for them at a later date. 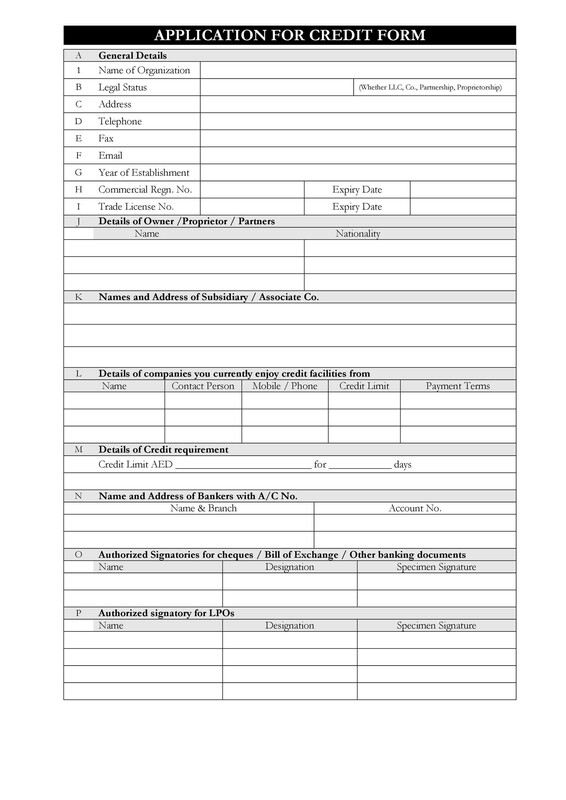 In order to accomplish this, you’ll want to add a credit application form to your toolbox of business templates. We have a few for you to download on this page. 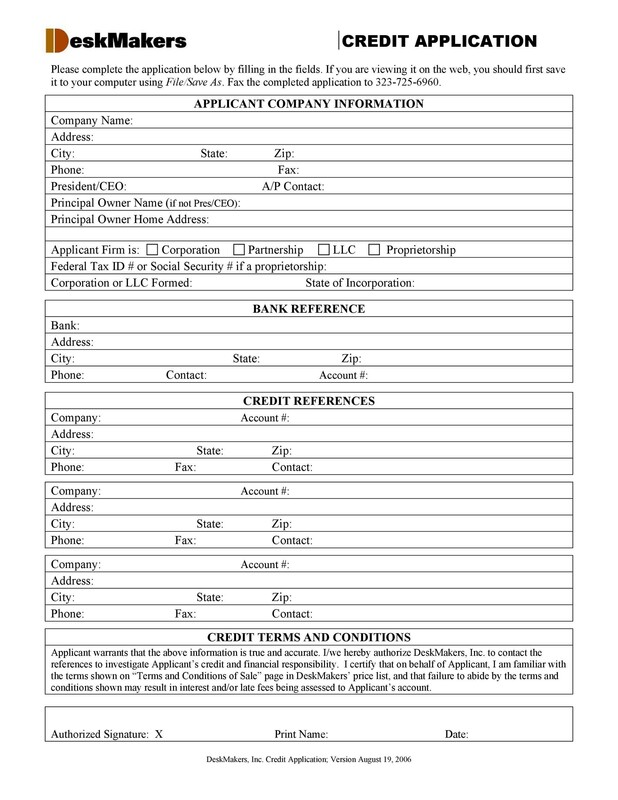 2 Why Should I Extend Credit Using a Credit Application Form? 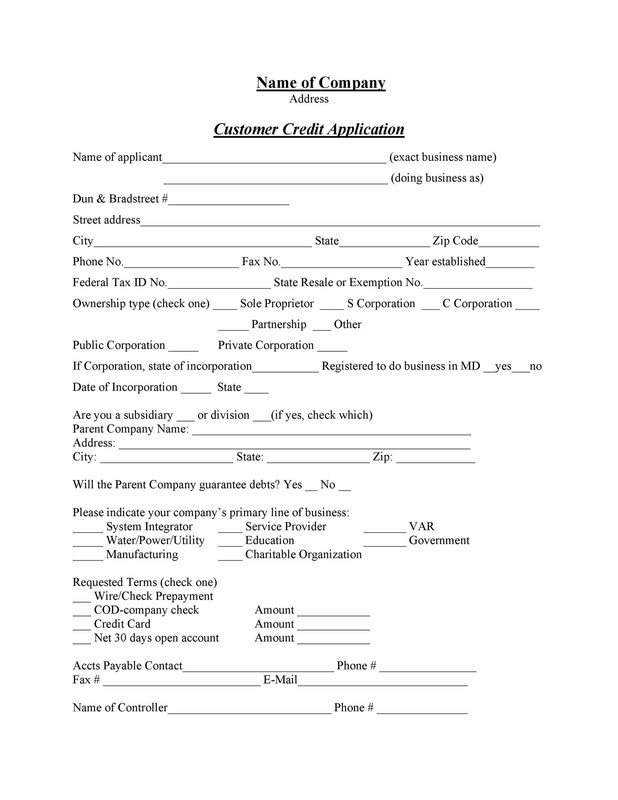 4 What Should My Credit Application Template Include? If you’re a business that does work with consumers, extending credit is still an option for you. The risk that comes with extending credit directly to consumers is much greater, so you’ll need to use a credit application form and credit check to make a decision. Small retailers make up for this risk by charging higher interest rates. If your customers mostly make small purchases, it may not be a good idea to extend any credit. However, if you’re a private caterer who helps affluent people plan their parties, you may find that extending credit can help you grow your business. 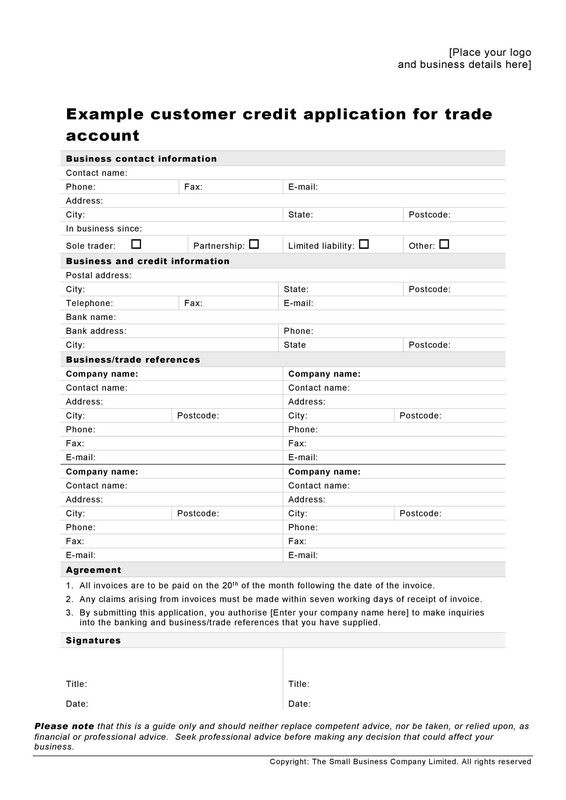 A credit application form will help secure the credit you extend by making sure that your customers have a stable track record of honoring their debts. 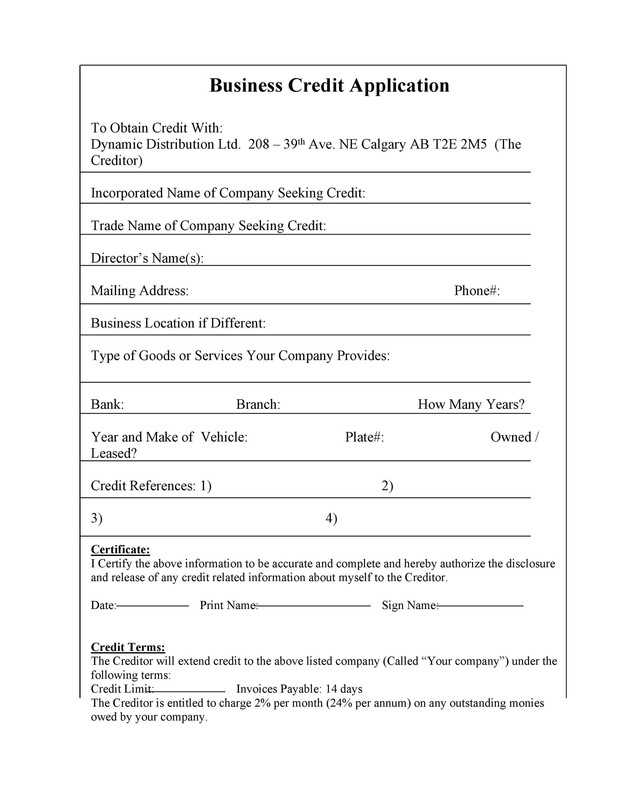 Why Should I Extend Credit Using a Credit Application Form? Not sure you’re ready to extend credit? Think of it this way; you’re probably already doing it. Every time your business accepts credit card payments, checks or even sends invoices to customers, you’re essentially extending credit. You accept these payment types on the assumption that customers will have the funds to pay for the transaction. The only difference is that when you’re accepting credit card payments, your merchant account provider shoulders the risk. 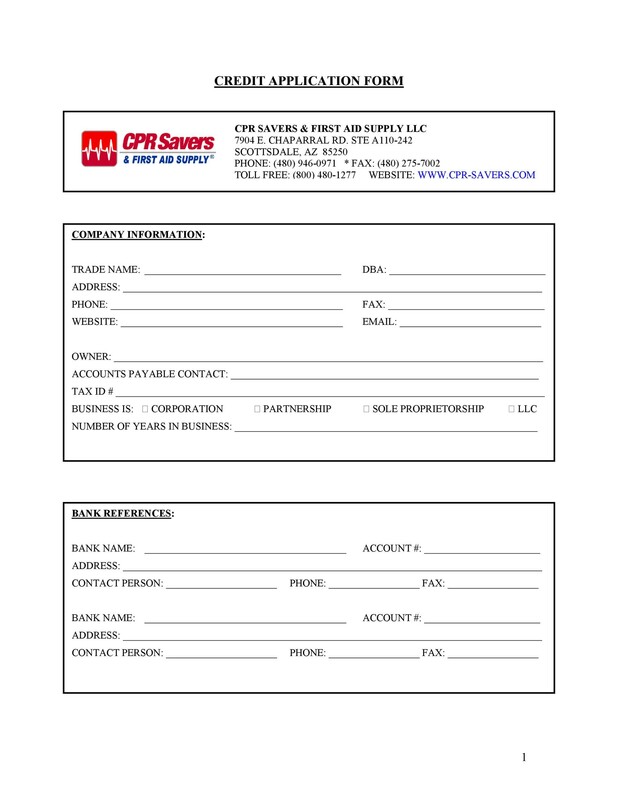 When you extend credit through invoices or checks, however, the risk is transferred to you. You’re the one responsible for verifying and accepting payments and managing the risks that come with them. 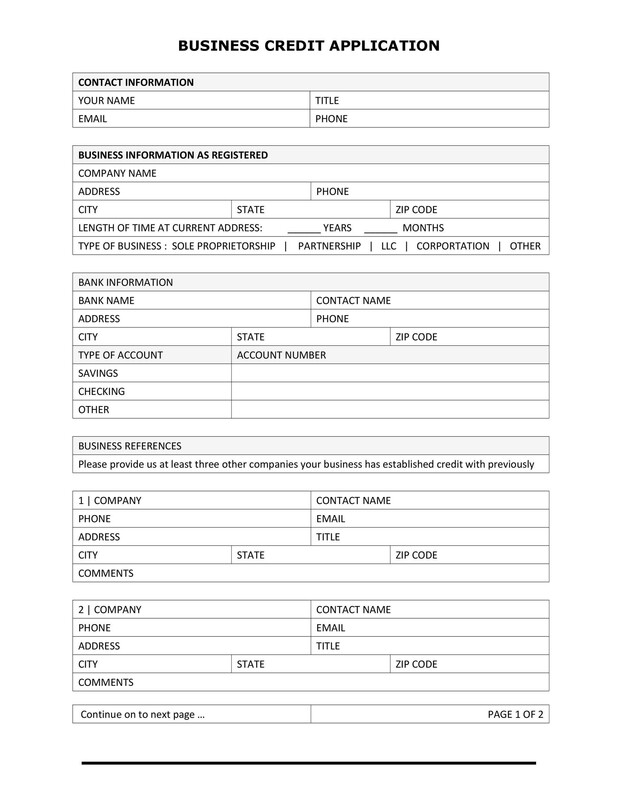 Some industries, such as construction companies or manufacturers, often extend credit by invoicing. 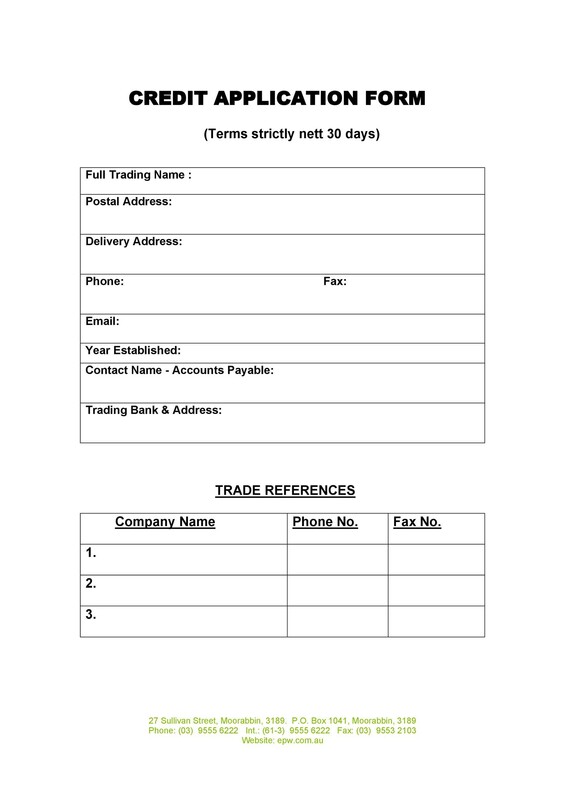 Invoices are typically due net 30 days, or 30 days from receipt. One of the main reasons businesses offer credit is to help customer focus less on prices and more on their needs. Having a credit option can help you make more sales and enhances your relationship with your customer. It’s important to note that extending credit will cost you money if it’s done incorrectly. When you sell something on credit, you won’t have immediate reimbursement and you will need to temporarily make up for the cost, which usually means borrowing cash flow from other areas of your operating capital. And if something happens and your customers are unable to pay, you may end up spending money on collection activity and other costly measures to try to recoup your losses. Before handing out a credit form to all of your big customers, make sure that you have a legitimate business reason to extend credit. Assess the risks of having several of your larger customer default. If a financial crisis occurs, will you be able to stay afloat without counting your outstanding invoices as income? If you can’t shoulder much risk, it may not be the right time to extend credit to your customers. You should be able to extend credit without becoming overly reliant on it for income. In other words, your cash flow is your cash flow, and outstanding invoices may or may not be paid. Will it hurt your cash flow to extend credit that may not be paid back? If so, it may not be the right time to offer credit options to your customer base. Long before you offer credit to your customers, you’ll need to decide how you will manage credit accounts accounts. You’ll need to know if you can charge late fees (and how much you can charge) as well as collection laws in your area. Who are your ideal customers? 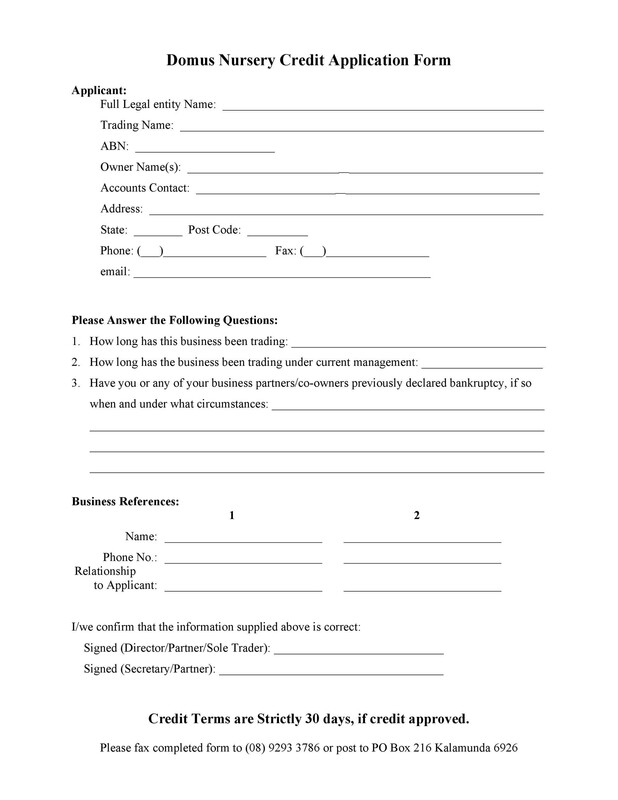 Will you offer credit to individuals, or businesses? 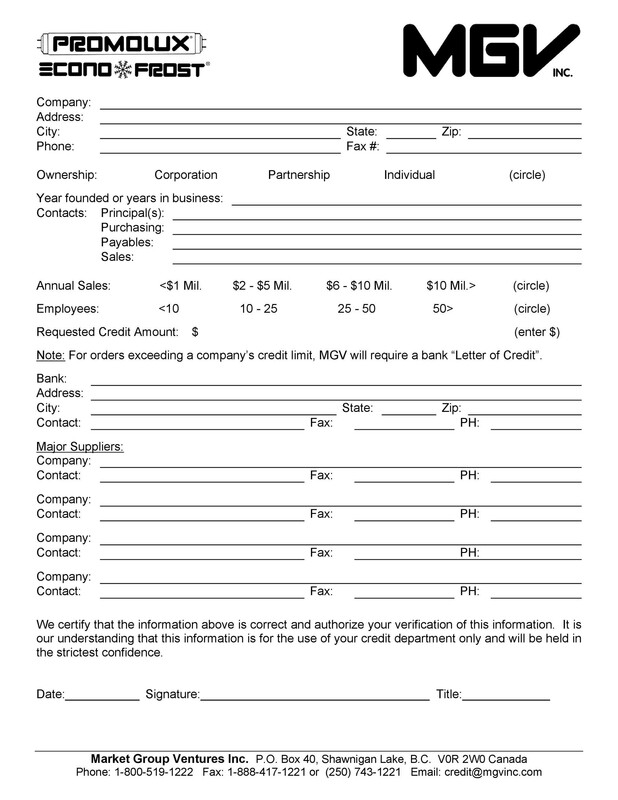 What company will you use to run credit checks your customers when they apply for credit? What are your payment policies? When will bills be due? What payment options will you offer? Who will your customers with credit plans contact when they have a question? 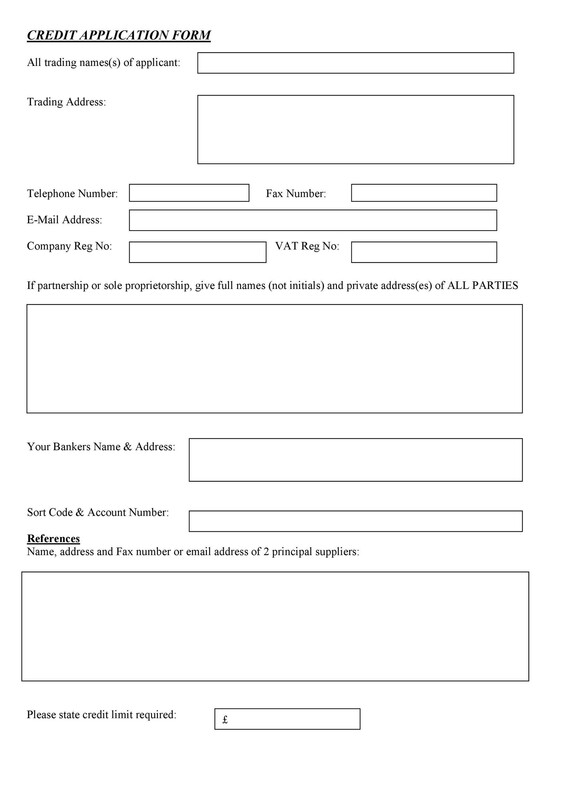 How will you invoice your customers? Will you outsource any of these tasks to another company? How will you keep sensitive financial data safe? 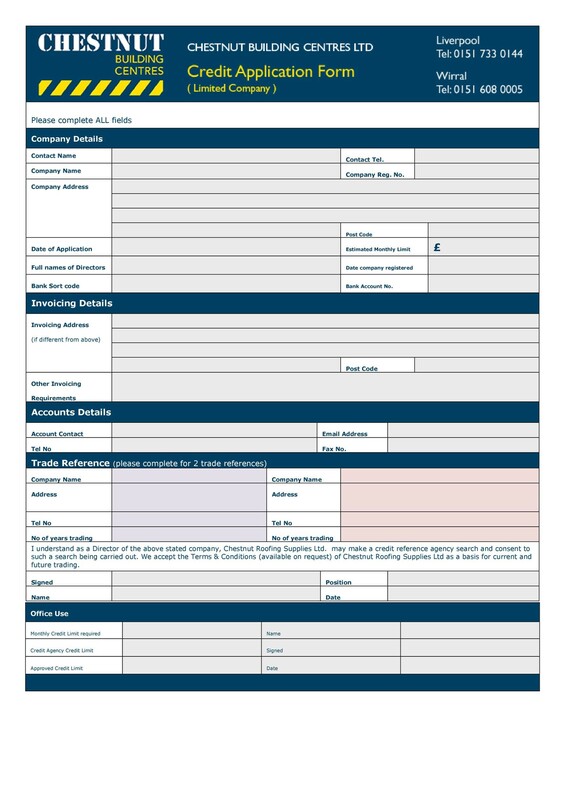 What’s our game plan for collecting late or delinquent account payments? 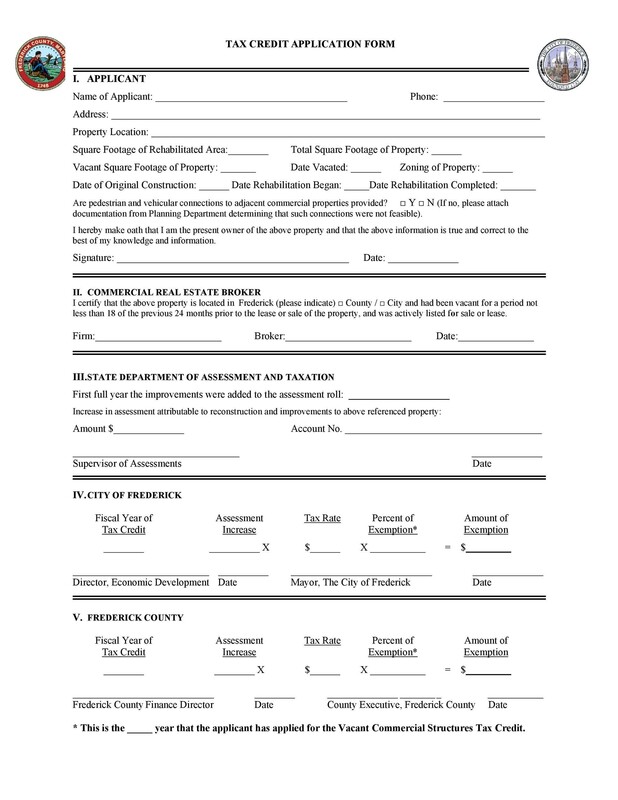 What other considerations do you need to assess to comply with local laws? Using these questions, you can create a firm credit policy that outlines everything from interest rates to procedures when a customer faults. 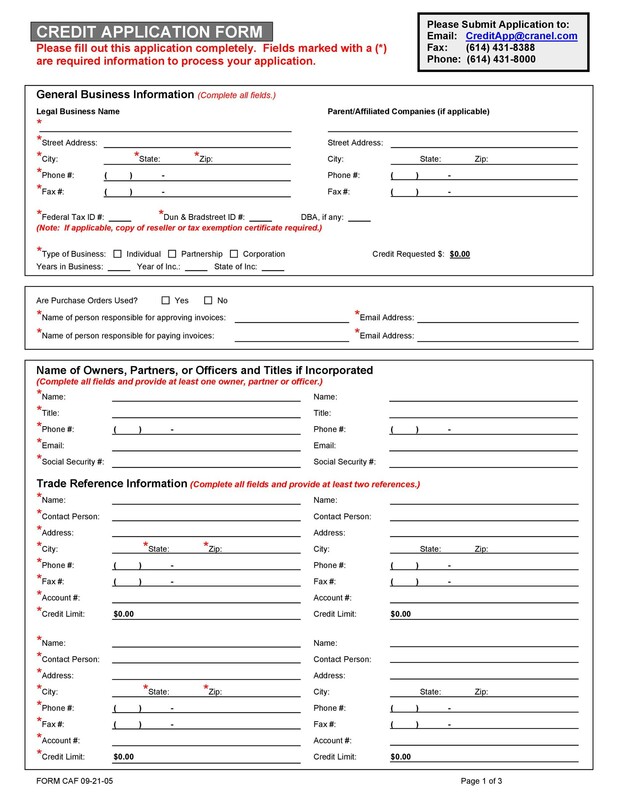 Your customers should get a copy of these items in the mail once a year and be notified of changes. Usually, this is called “Terms and Conditions” and they can change according to the local as well as federal laws. 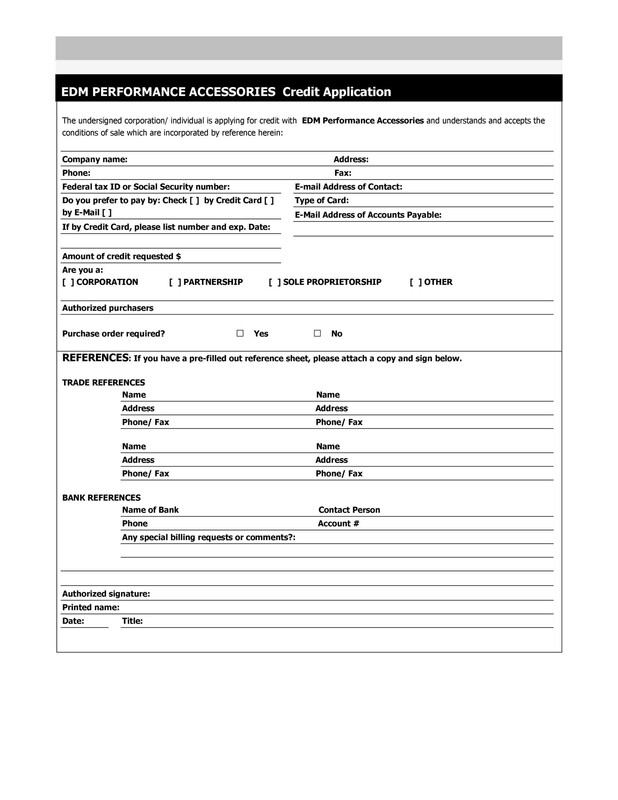 Your terms and conditions should contain all legal information, dispute resolution procedures, and information on what happens when you must place an account in collections. 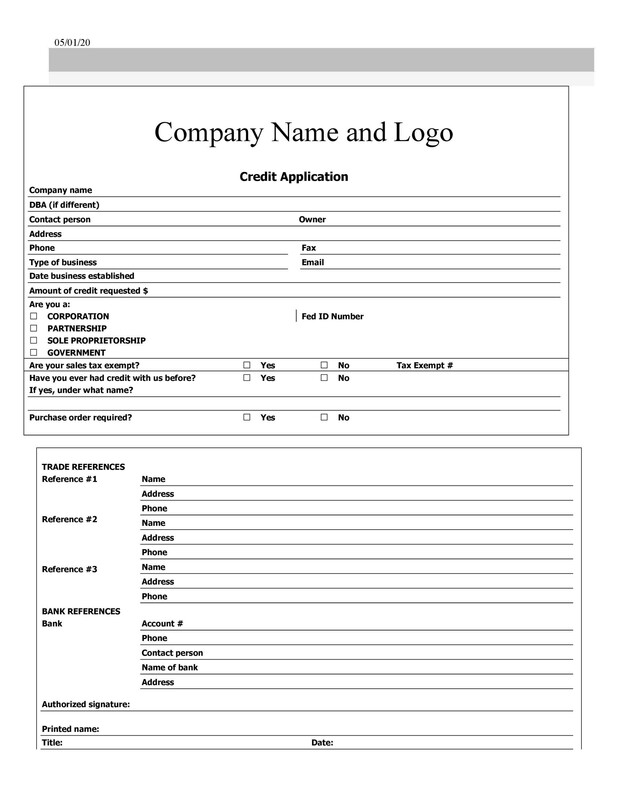 What Should My Credit Application Template Include? When you’re preparing to launch a new credit program for your customers, you’ll need to get, and keep, all of your customers’ details in writing, and regularly ask them if the information is correct when you send the statement in the mail. 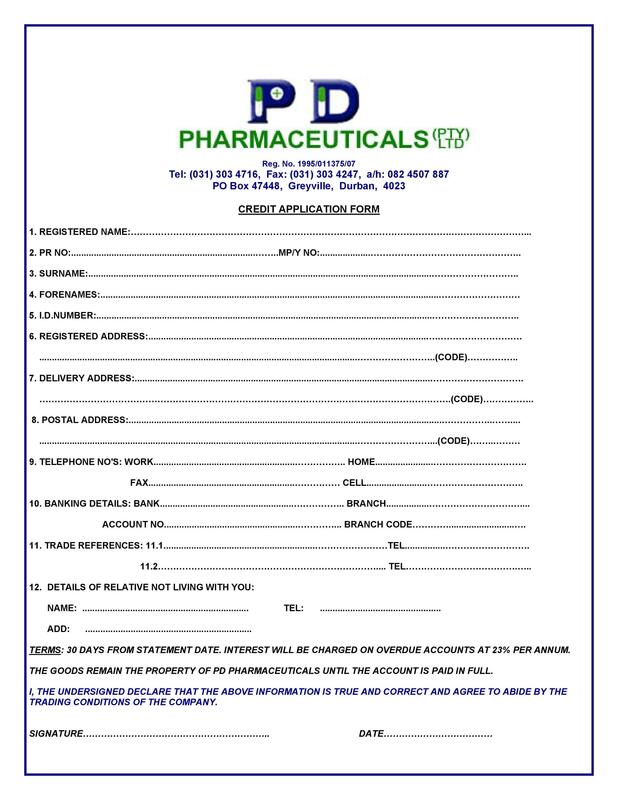 The application you use will have important to documentation in case of fraudulent or delinquent credit transactions. 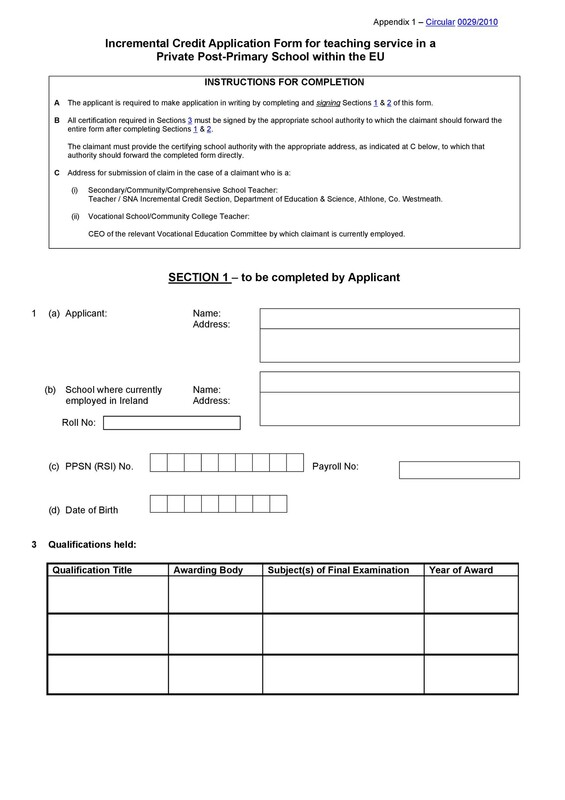 Income verification: For individuals, this means that you’ll want tax documents, bank statements, or the number of the HR department to confirm details of employment. 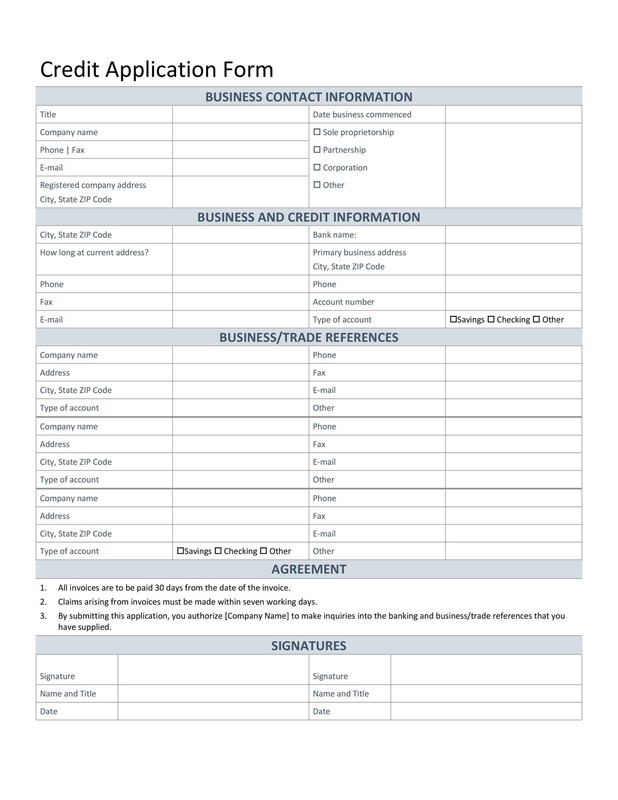 For businesses, you may ask for a profit and loss statement, bank statements, tax documents, or other information that shows their regular profit. 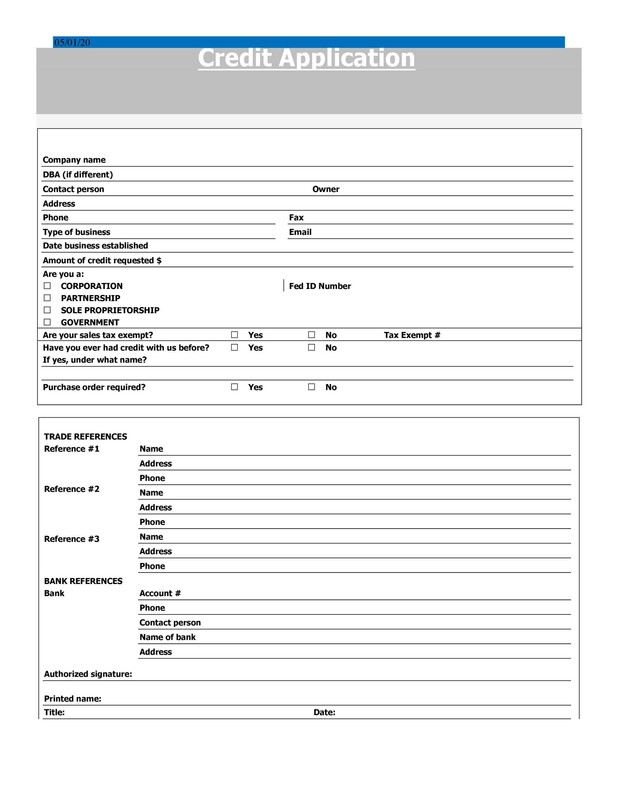 References: You will need to ask for financial references. 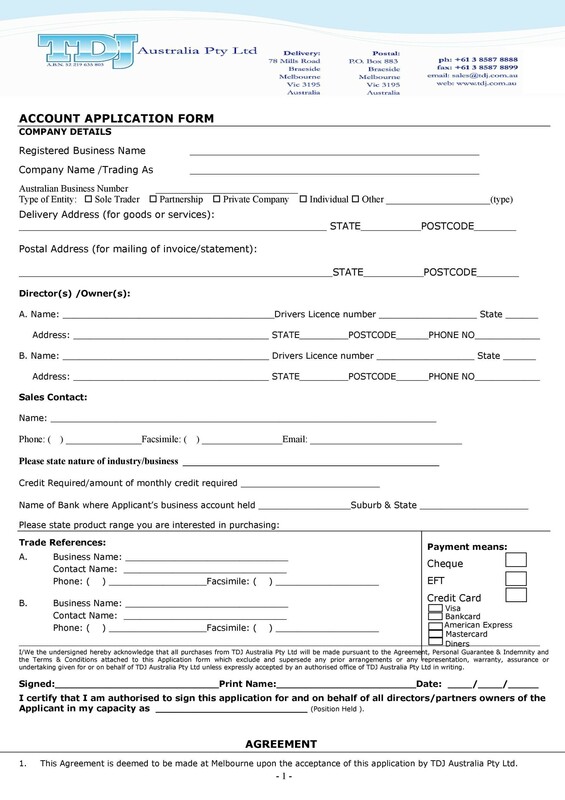 For consumers applying for credit, this means banks, credit accounts, etc. 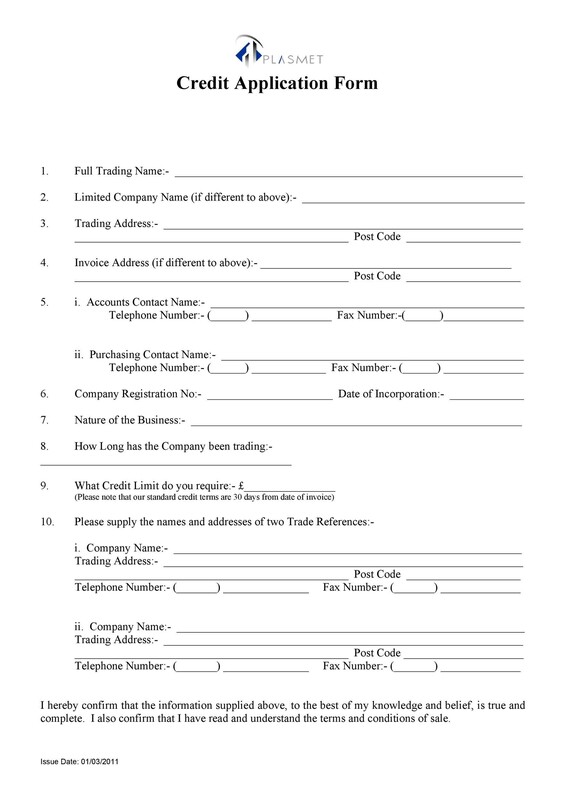 For businesses applying for credit, this means vendors and any other creditors that they may have. 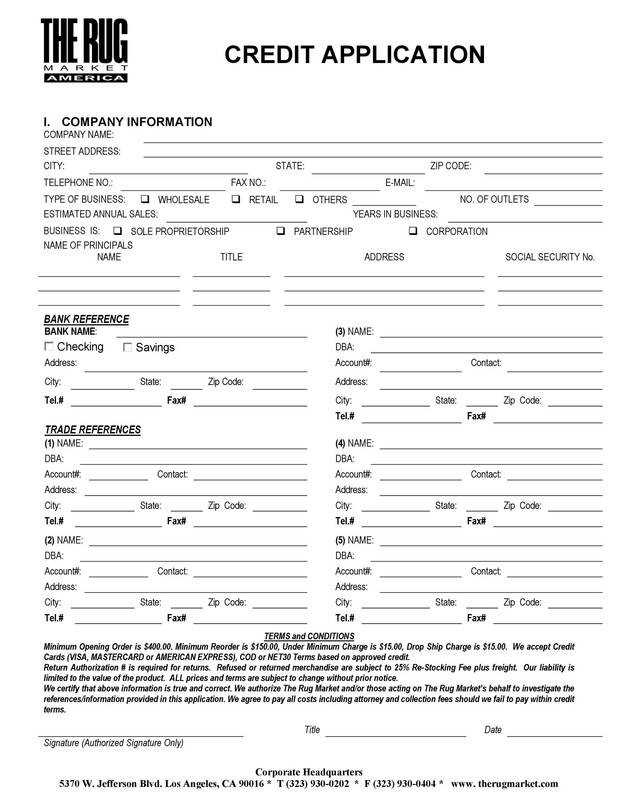 Addresses: Addresses that an individual has lived at in the past two years are an important part of pulling a credit report. You’ll want to know what states, counties, and towns the individual has lived in so you can pull an accurate credit report. For a business, you’ll want all of the addresses the company does business at. 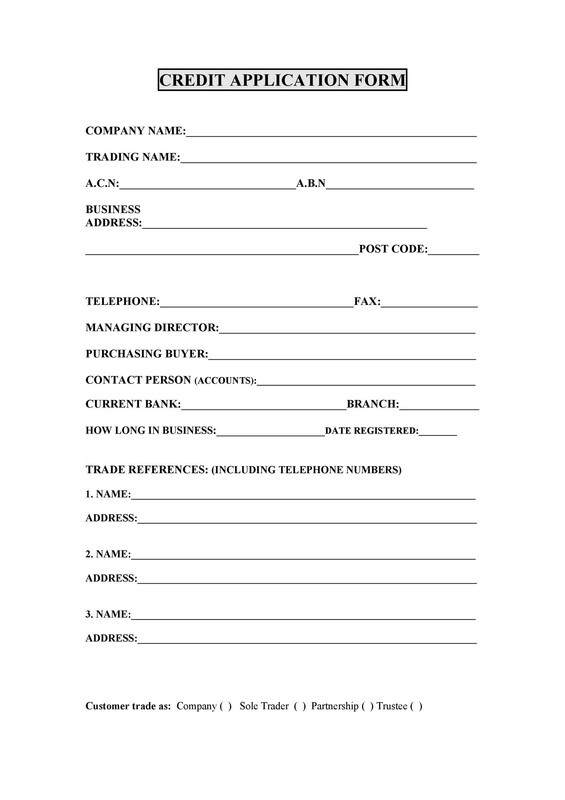 Contact Phone Numbers: For individuals, this will be their cell phone, home phone, and work phone number. 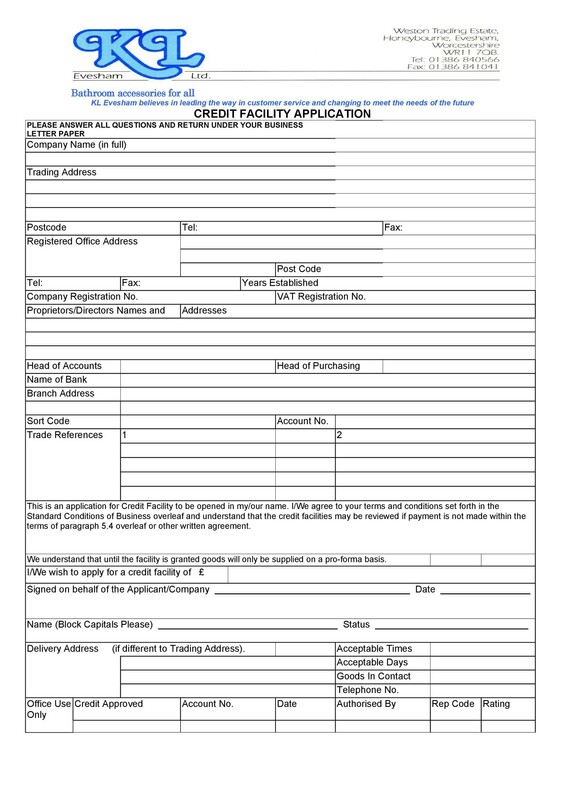 For businesses, you’ll want to get information on who is responsible for paying invoices. 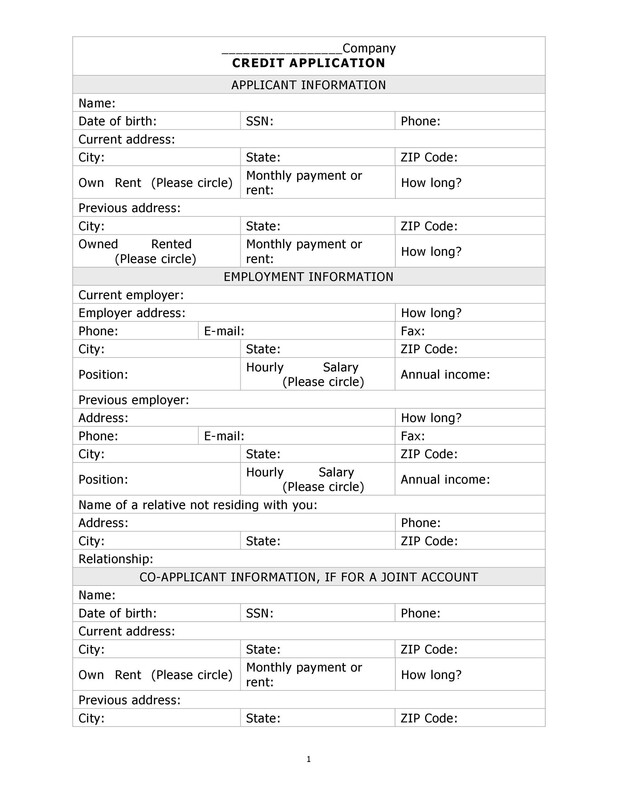 Tax ID and other identifying information: For individuals, this is their social security number. 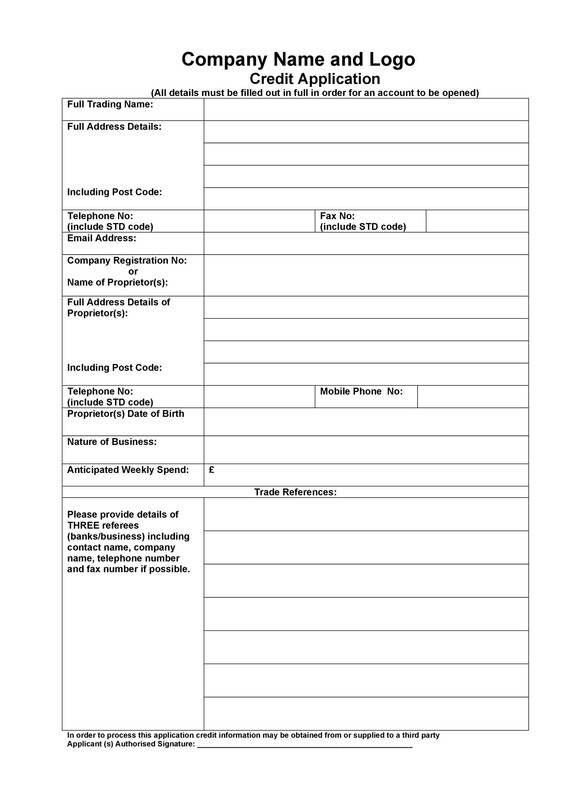 For businesses, you’ll want their tax ID and employer ID. 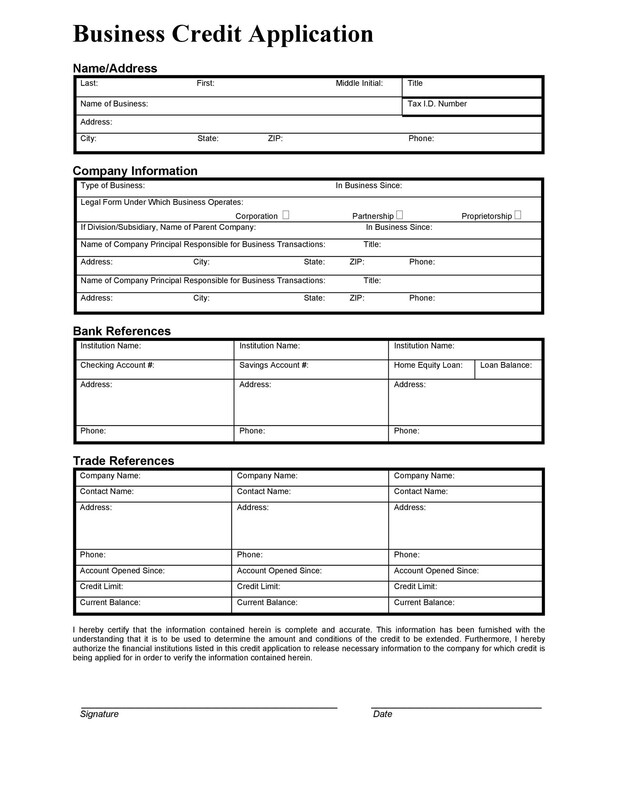 Background information, assets: For individuals, you’ll want the names of their last two employers, employment dates, and any collateral such as equity in a home. For employers, you’ll want to know what type of equity they can offer, and how long they’ve been in business, and may even request backup documents such as a copy of the business plan. 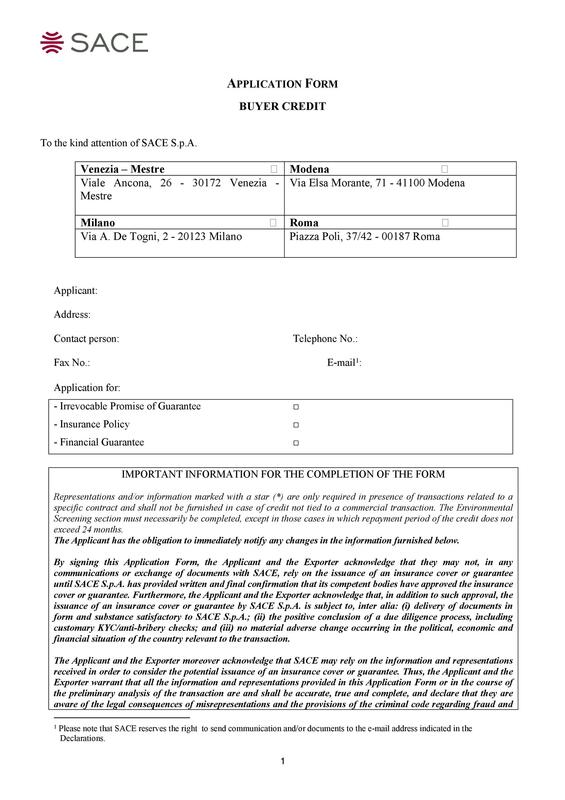 Signature: This is absolutely essential. 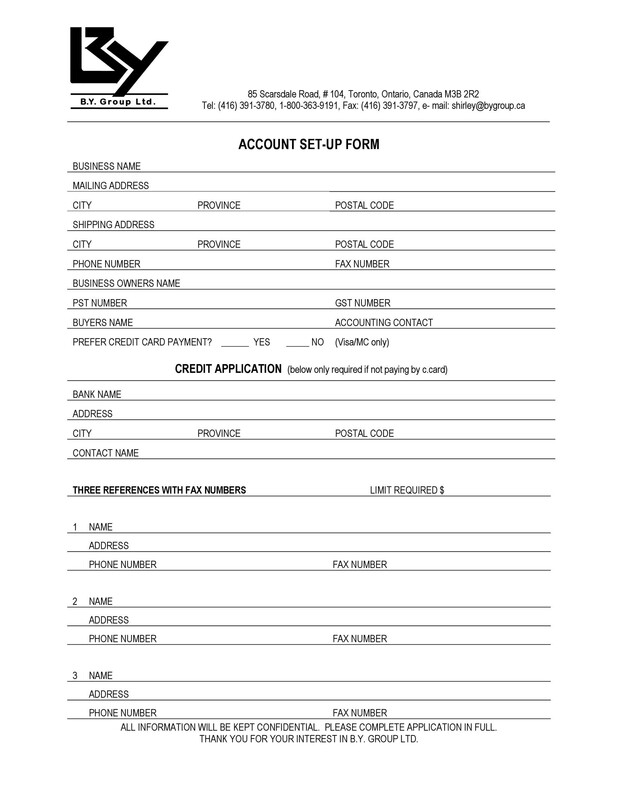 Do not process a credit application without a signature giving permission for you to pull a credit report. 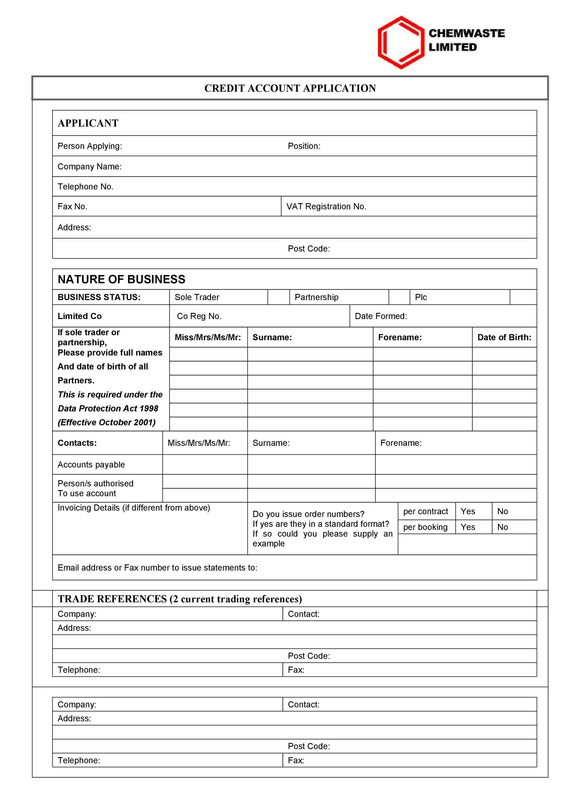 Personal Guarantees: Some individuals will have somebody with a better credit record co-sign their credit application forms. That’s fine, but you’ll want to get all the information for this individual, as well, preferably on another application form. If you’re extending credit to a business, you’ll want to get personal details from the individual responsible for payment if the business fails to pay on time. This will usually be an officer of a corporation, the CEO, or another person in an upper management position. 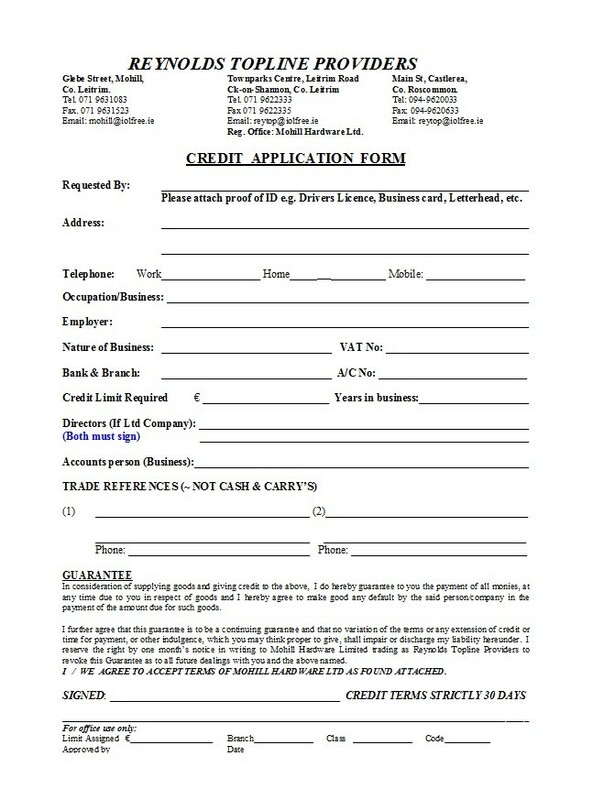 When armed with this information, you can pull a rather thorough credit report for either an individual or a business. Credit reports typically show you information from the past seven years. There are three credit bureaus for individual consumers in America; Equifax, Transunion, and Experian. Equifax and Experian also have offices overseas, throughout Europe, in addition to a company named Callcredit Plc . 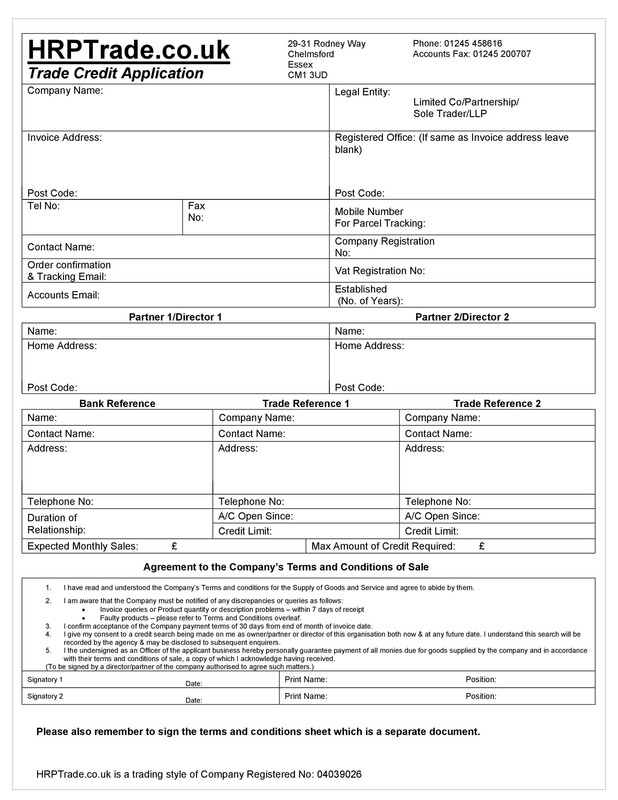 Nowadays, many companies issuing credit will pull and collect a combined credit report that has detail from three bureaus. For a small business, this may be too expensive to muster. 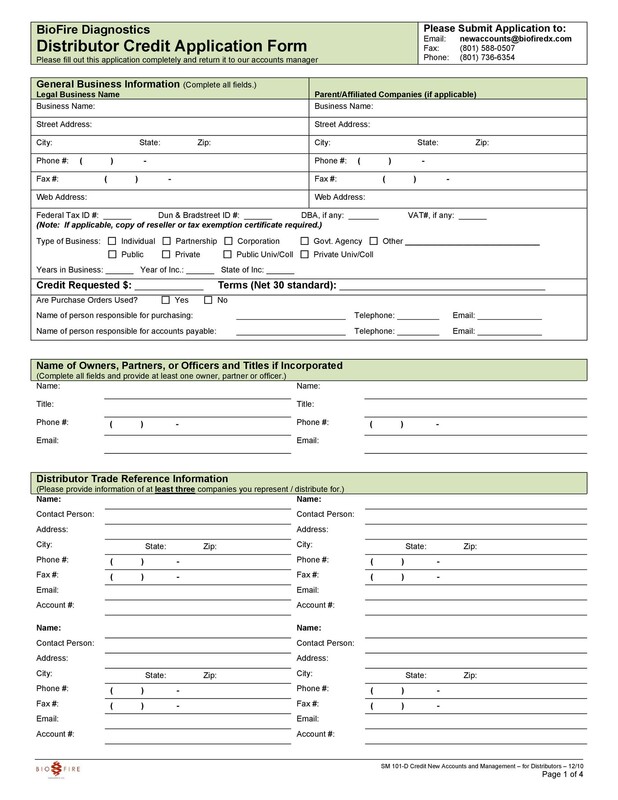 If you’re not sure which bureau to use, you may want to order a copy of your own credit reports and see which bureau appears to have the most accurate, up-to-date information. 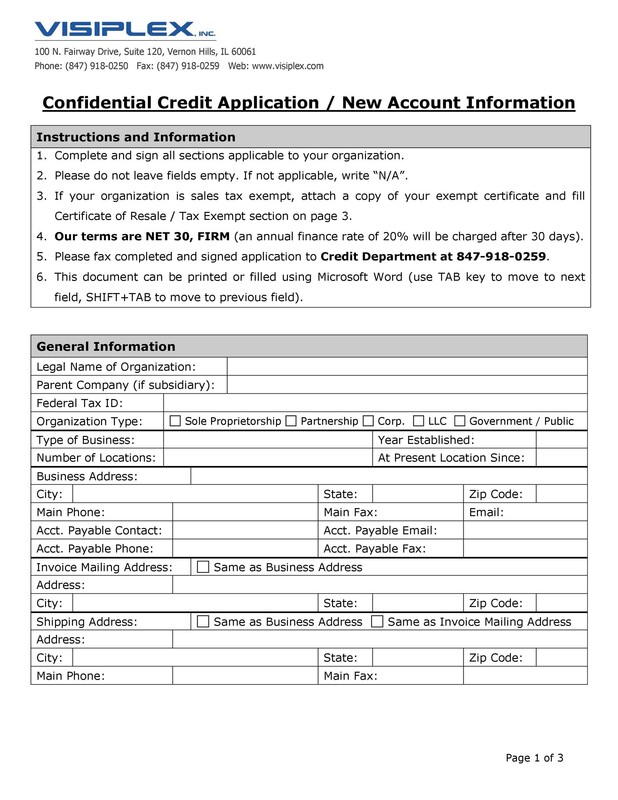 When you pull a credit report for a business, you’ll probably be using Dunn & Bradstreet to pull the information. It’s the largest and most well-known business credit bureau in America. 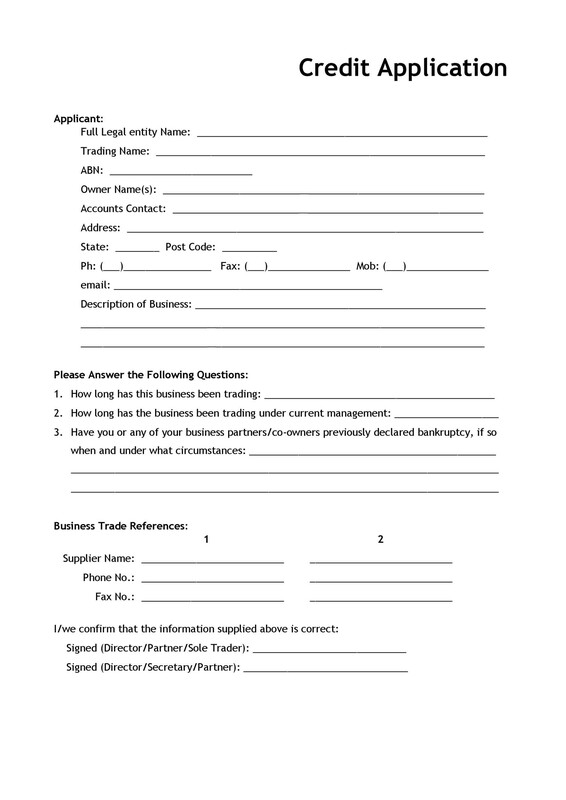 In addition to a D& B business report, you may also want to pull a company’s Prospectus if they’re publicly traded. 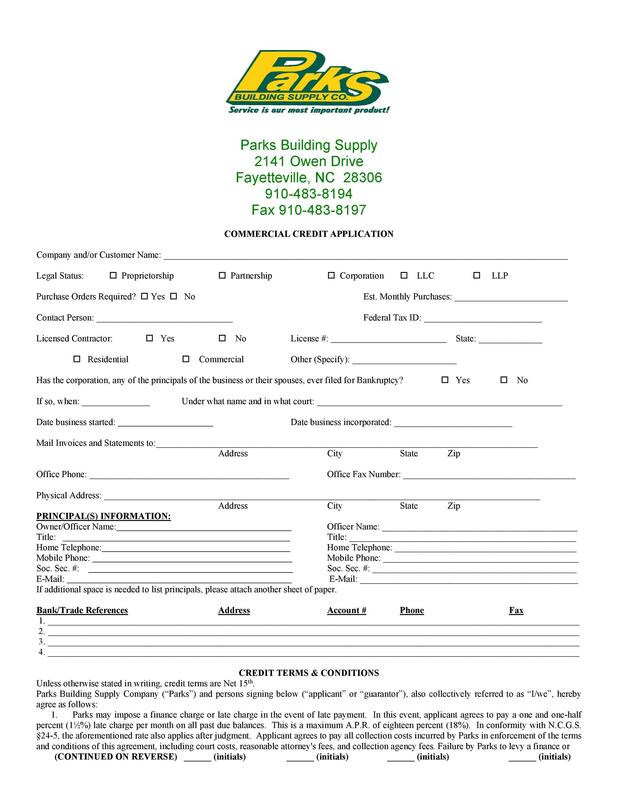 You should also check out information on their reputations when it comes to their customers. What do people say about them on Yelp? Have they had any Better Business Bureau or other complaints? Is the company viewed favorably in the media, or have they been plagued with mismanagement and scandals? These aspects can tell you more about the health of a business than financials can. You’ll be able to tell if a business is in trouble by taking the time to check these out. If your business extends credit to customers, you should become very familiar with consumer credit laws and privacy laws. Do not ask any questions that could be leading or ask questions about race, gender, etc. There are many laws in place that prohibit discrimination based on these attributes. In America, the Federal Trade Commission (FTC) enforces the nation’s consumer protection laws, and the Consumer Financial Bureau goes after lenders with deceptive practices by making lawsuits and collecting money for those who fall victim to lending scams. Learn the laws about how you advertise interest rates. You’ll also need to know how much time you have to respond to billing disputes, your options when collecting debt, and other aspects of extending credit. 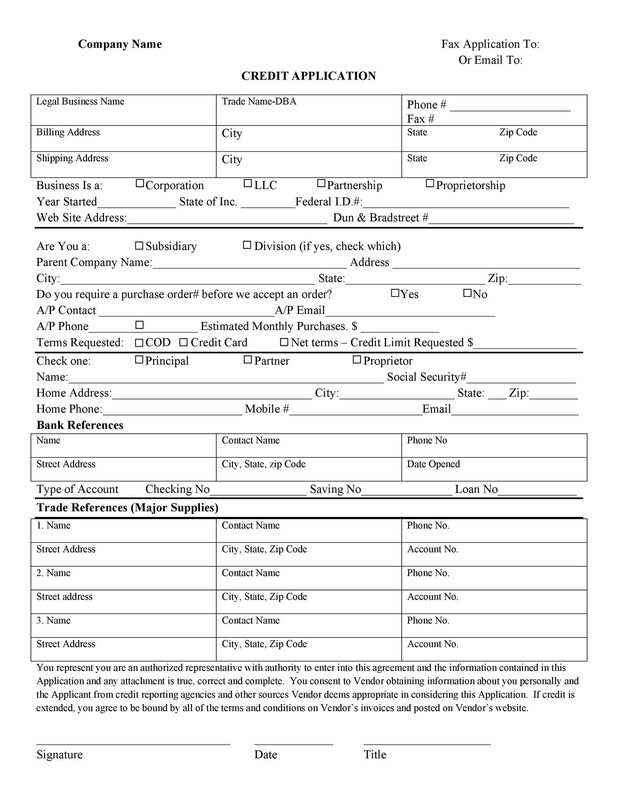 You may need a lawyer to go over any credit application form templates and let you know what you information you can, and cannot, ask consumers when collecting information for credit-extending purposes. When you extend credit to an individual or business, you’ll want to make sure you get a good idea of their background and history when it comes to paying debt. Sometimes a consumer will get in over their head and have trouble paying. Other times, they will refuse to pay a debt based on what they believe are unfair or predatory practices. What happens when a customer refuses to pay a bill? When you’ve added in payment penalties and sent a sequence of reminder letters, you may decide that your customer has no intention to pay. Check with your local consumer protection agencies to understand your collection options and pay special attention to local laws. Depending on your local laws, and the amount of the outstanding debt, you may decide that handing a delinquent account over to a debt collector isn’t worth the cost. For a smaller debt, such as a credit card under $500, you may find that your company will benefit best from simply writing off the bad debt in your taxes. 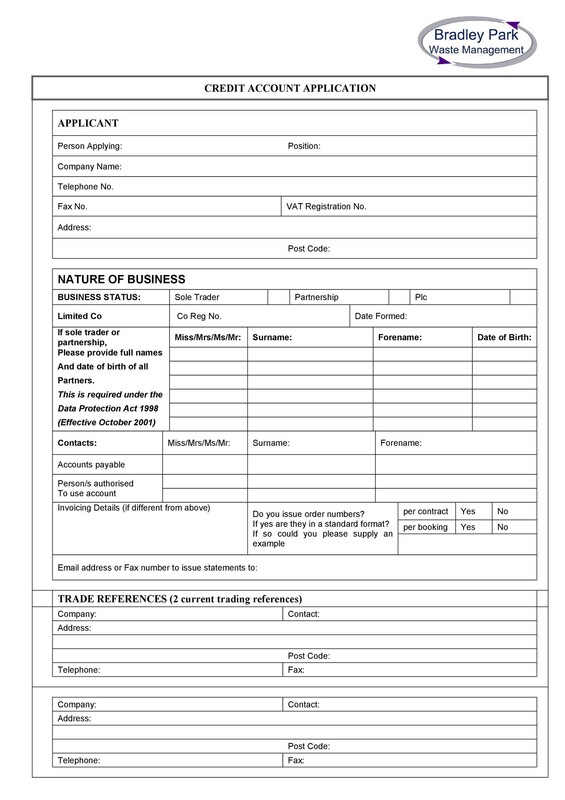 When it comes to losing money on credit you’ve extended, the best way to handle this is to make sure that your credit application form is through and the financial backgrounds of those you extend credit to have been thoroughly vetted. The best way to solve bad debt problems is to prevent them from occurring in the first place. Make sure you adopt strict credit policies. Conduct thorough evaluations of all credit risks before extending any credit to your customers. You’ll be glad you did! 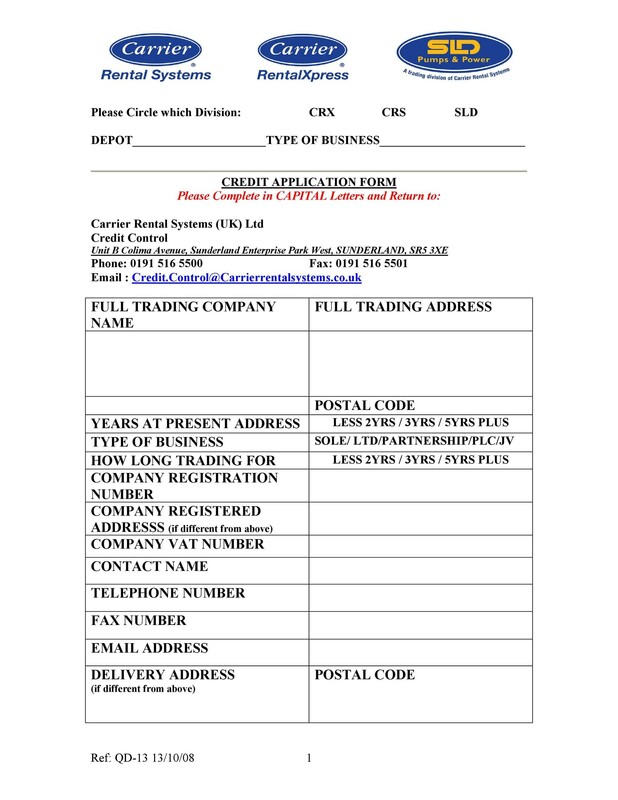 You can download several credit application form templates on this page. Make sure you read each of them to get an idea of what your needs may be. Speak to your lawyer if you have any questions or concerns about the information you’re collecting and how it should be handled.